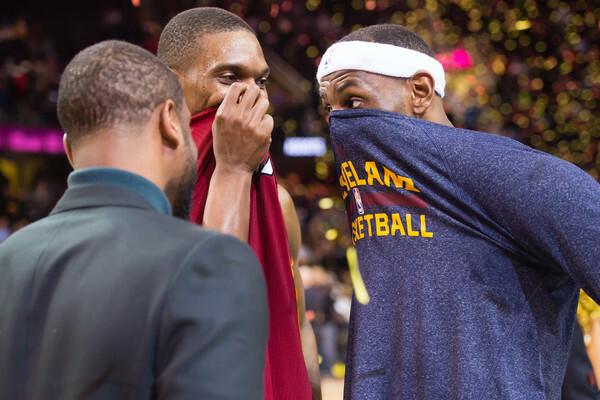 Dwyane Wade #3 Chris Bosh #1 of the Miami Heat and LeBron James #23 of the Cleveland Cavaliers joke after the game at Quicken Loans Arena on February 11, 2015 in Cleveland, Ohio. The Cavaliers defeated the Heat 113-93. NOTE TO USER: User expressly acknowledges and agrees that, by downloading and or using this photograph, User is consenting to the terms and conditions of the Getty Images License Agreement.